Margaret Walker’s (Biography) academic and artistic legacies as a scholar, author, teacher, and activist are unparalleled. With classic works such as her poem “For My People” and the neo-slave narrative Jubilee, based on the memories of her maternal grandmother, Walker was a tangible connection between the diverse group of artists who comprised the Harlem Renaissance and modern black writers such as Toni Morrison, Nikki Giovanni, Sonia Sanchez, and James Baldwin. 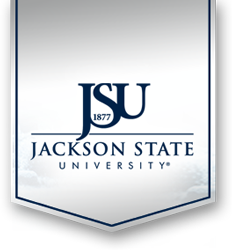 At Jackson State University, Margaret Walker was a long-time faculty member in the English Department, and, in 1968, she founded the Institute for the Study of the History, Life, and Culture of Black People—a museum and archive at JSU that today bears her name: the Margaret Walker Center for the Study of the African-American Experience. Walker’s literary, administrative, and personal papers are the centerpiece of the Center’s manuscript collections. One of the single largest collections of a modern, black female writer anywhere in the world, approximately 50 percent of these papers are being digitized and posted online for scholars, educators, students, and all people interested in the life and times of Margaret Walker. The result of two major grants in 2008—one from the Ford Foundation and the other from National Endowment for the Humanities—this digitization project is unequaled, particularly for an archive at a historically black college or university. Thanks to the efforts of twenty-three staff members over the past three years, the first stage of this project has now been completed, and over 130 of Margaret Walker’s personal journals, numbering more than 10,000 handwritten pages and dating from the 1930s to the 1990s, are now available to the general public.